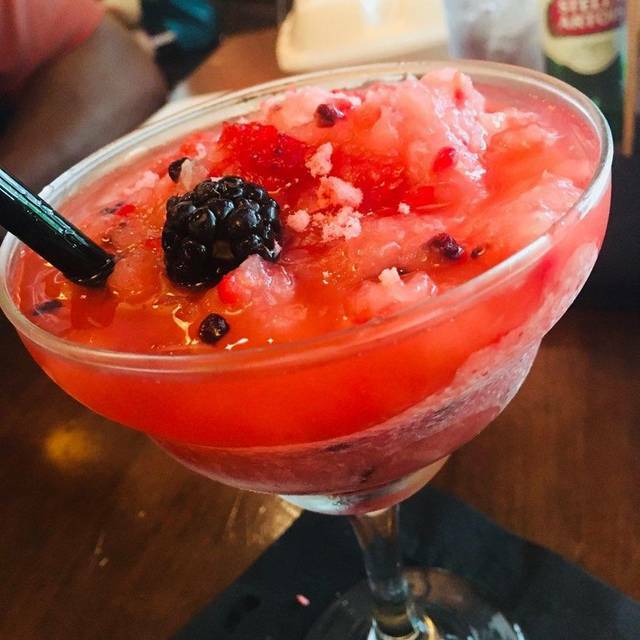 We validate for the underground parking garage located on the west side of N. Taylor St. Validate at host stand for discounted rate, free until 3pm and $5 after 3pm. Metered street parking is available. Nicole was a great server. I was there with a group and she remembered everything we needed. I also arrived very early and was able to be seated instead of waiting in the lobby for my party to arrive. It was my birthday. It was so nice. Loved every moment recommend this restaurant!! The food is consistently good. Our server was pleasant, and very efficient. The noise level at dinner was off the charts. It is unlikely that we will return to this location on a busy night, as conversation is impossible. Jay, thank you very much! 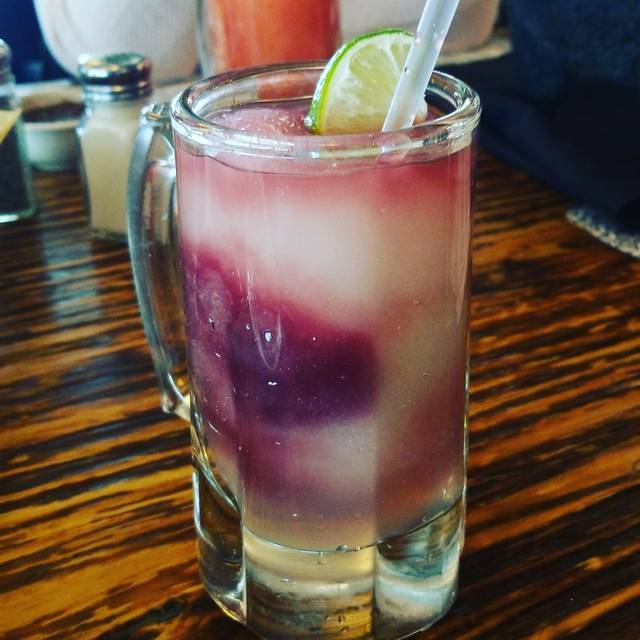 Subpar Mexican American food with great location and good drinks. I was unwell after my visit just like 5 years ago, but my companion loved it. Probably my highly discerning stomach and not the place. I would go to Guapos any day, but then they are not in Ballston. This restaurant never disappoints. We love to go there as a family, especially for the chocolate piñata. There was a lot of chaos on a Saturday evening. It took us 15 minutes extra to get our table, 6:45 reservation. Very loud and hard to hear the waitstaff. Took 10 minutes to get a beer. Food was good! Tables are close together, hard to slide out without bumping someone. Uncle Julio’s is fine. It’s nothing special, and certainly not worth the price you are going to pay. 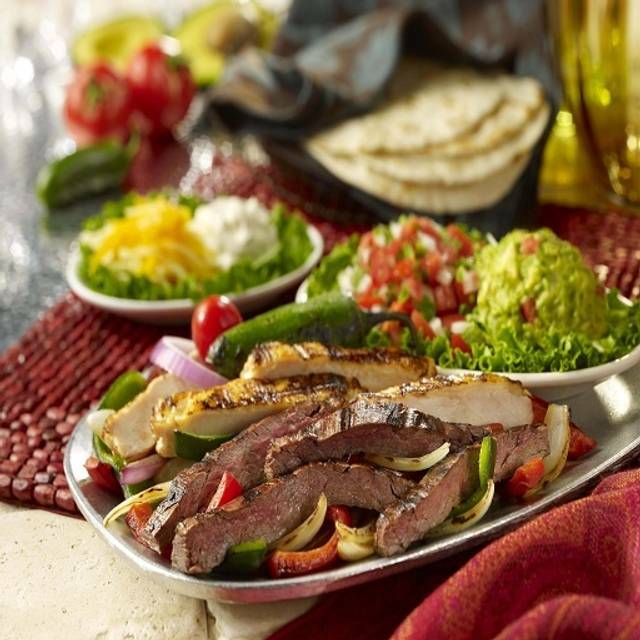 If you are craving guacamole and fajitas and are in the area it will kick your cravings, but it’s not my choice much more than the fact the location can be convenient. Their flour tortillas are made in house and are pretty good but overall the price is high for “meh” Mexican food. So loud!! And tables so close together. Could not have a conversation without leaning way in and taking loud so we gave up. This was my first time coming here after hearing great reviews. I made reservations hours before on Open Table and was seated as soon as I arrived with my friends. Our waiter greeted us within 2 minutes of sitting down. He gave us recommendations on drinks and different food options. The drink (The Swirl) was absolutely amazing!!!! We didn't like the free salsa that came with the chips they give you.... it's an acquired taste. He suggested the Cowboy Queso and I must admit, I LOVED IT!!!!! Very flavorful!!! 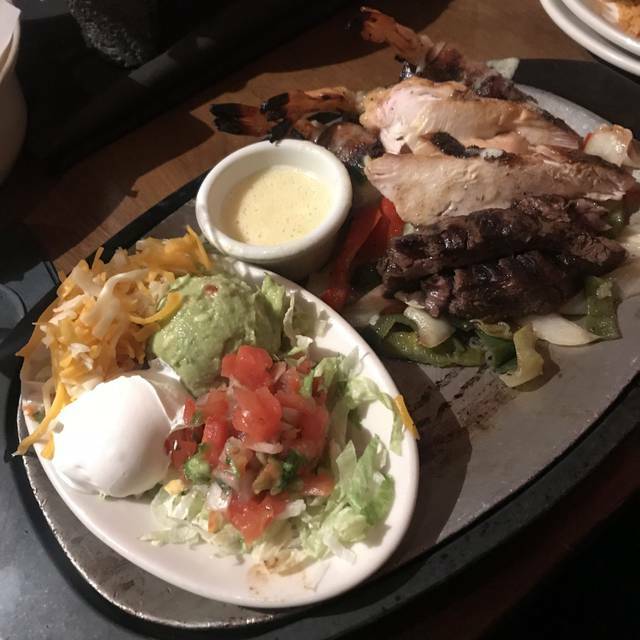 For an entree, I had the Chicken and Steak fajitas. The steak was a little chewy but everything was flavorful!!!! The payment option was very unique. Electronic!!! I love it!!!! Kaneisha, thank you! We are thrilled you had a great time! Noisy and high energy spot. The food was great! Drinks were pretty good overall. We had a great time! Our reservation was at 7pm on Friday evening. We were immediately seated. The place was packed! Joyful sounds all around! After we were finally able to choose from the wonderful menu dinner arrived sooo fast!! We ordered the chocolate piñata!! Sooo good! Very highly recommend Uncle Julio’s!!! Uncle Julio's has the best ceviche I have ever had. The atmosphere was light, relaxed and comfortable. 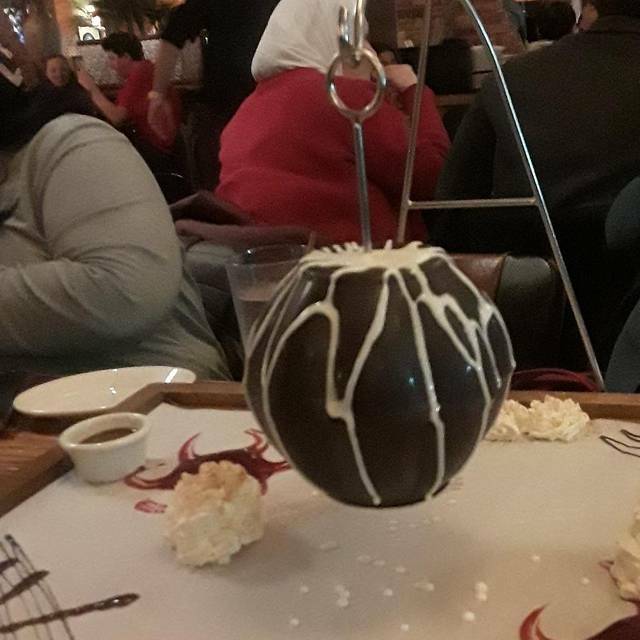 My daughter and her friend wanted the chocolate pinata and it did not disappoint. Everytime we are in the area we will be back. Tammy, thank you...we are so happy you enjoyed the entire experience! Had dinner on a Sunday night at 6:45. Lots of families and at least one kid’s birthday party so it was loud and there were kids running around near our table. Food was fine, service was fine, but the tables were noticeably worn and in need of replacement. An ok place for a family meal but probably not good for a date night. It was wayyyyyyy too cold, very uncomfortable!! Richard was Awesome!! The food is consistently good here and reasonably priced. The downside is how close the tables are together, the lack of ambiance (unless you can sit outside) and the noise level. It is ALWAYS extremely loud. Would be great if they invested in something that could lower the noise level. Sat down and ordered water and margaritas. Waiter immediately brought water and wanted to take order. We had not even got margaritas yet. Ordered appetizer and tableside guacamole was completed and half eaten before drinks came. Waiter again wanted to take meal order. Seemed like they just wanted us to eat and run. Food was good, but not a great overall experience. Service was terrible. Drinks didn’t come until meal came. Bundled thousands of sub primes into a synthetic (fraternity brother Chad from Moody’s gave AAA), closed w/ total amateur at 23MM, 400K+ commish. Margs were average. Too noisey, and crowded, the table are placed too close to one another. I could barely hear my guess speak. The menu seem limited compared to the Woodbridge location. Celebrated sister's birthday...had a great time! 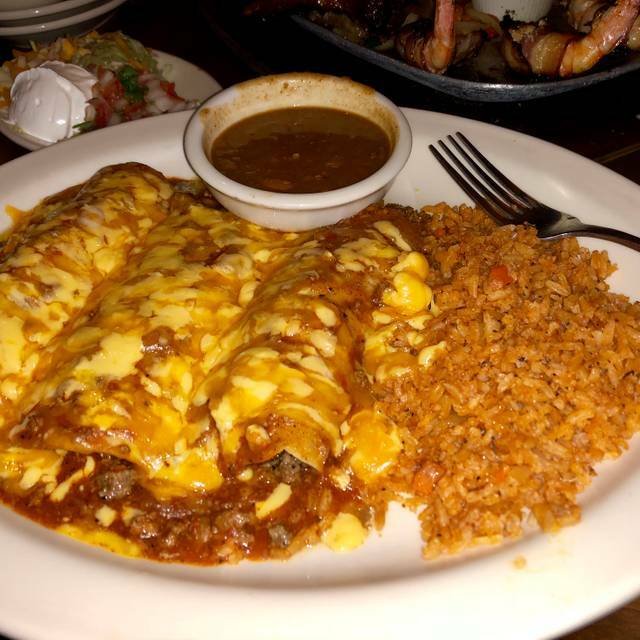 Classic margarita was wonderfulI; staff provided great service; food was good: Juanita's platter (really good chicken enchilada), Agave Queso Chicken, and beef quesadilla were really good!!! We also had a good time with the delicious chocolate pinata! Reservations mean nothing to uncle Julio‘s got there and still waited for 30-40 mins to be seated. Great food, but the service wasn’t great. 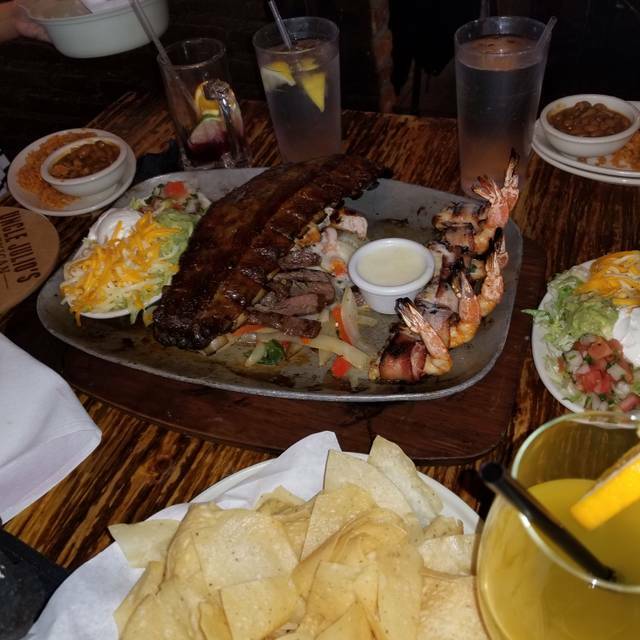 This was my family first time visiting and we enjoyed ourselves and the food. It was extremely loud but it was tolerable. 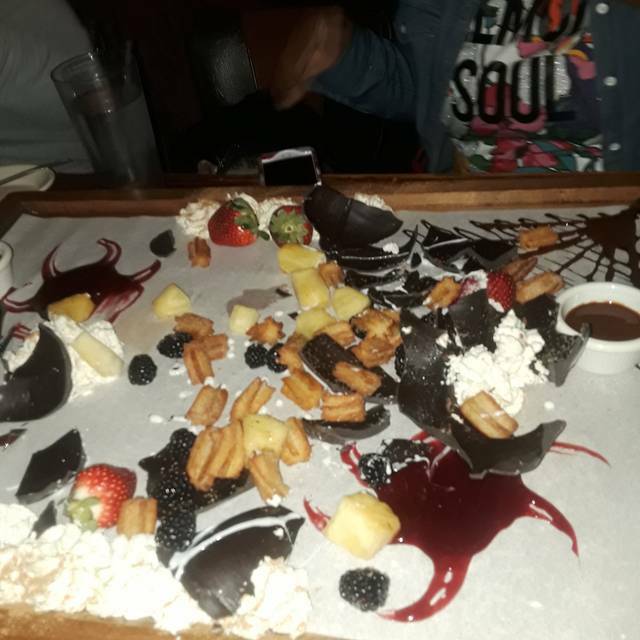 The table wasn’t ready when we got there and stood around waiting over 30 minutes before another option was given to us. Great place to go eat in family or as a date! Love the food and the service! I suggest making a reservation ahead of time or you will wait 20mins maybe more to have a table! Great place overall! Darwin, thank you for your business! Make sure you have a competent server who actually values that you enjoy your experience. Mine kept forgetting drink orders and his overall attentiveness of our needs was lacking. It was a good experience. The only problem is the noise level in the bar area is very loud, everywhere else in the restaurant is fine. We booked our reservation through Open Table. It was Valentines Day and the restaurant was packed. We arrived 25 mins early approximately. I requested if we can be seated early. Was told that they were getting our table ready. 20 minutes later, we were still waiting. So we asked the waiter when that table will be ready. He said since we had a 7pm reservation, they have to honor that. Well why didn't they say that in the first place when we first checked in?!? What really ticked me off was when 7pm rolled around, we didn't get seated. We finally got seated at 7:20pm. So what was the purpose of booking a reservation? I understand that it was Valentines Day and a lot of people were out that day to celebrate. That was the reason why I made the reservation. Bottom line, the host have to be honest with their patrons. That way it manages our expectations. Nobody wants to wait 20 minutes after they were told initially that they getting a table ready. A patron who was waiting for his TO GO order was told that his order will be out in 3-4 minutes. He was waiting as long as I was awaiting to be seated. The food was good. However, my salsa and my fresh guacamole appetizer was served on was warm bowl and plate. Sure way to spoil my cold food!! Not a fan of this location. I will try other locations because the food is good. Customer service and quality of food reflects what rating you get. So it's a 3 out of 5 stars for me! Overrated. Drinks too sweet for a classic margarita. The chicken fajitas were excellent. 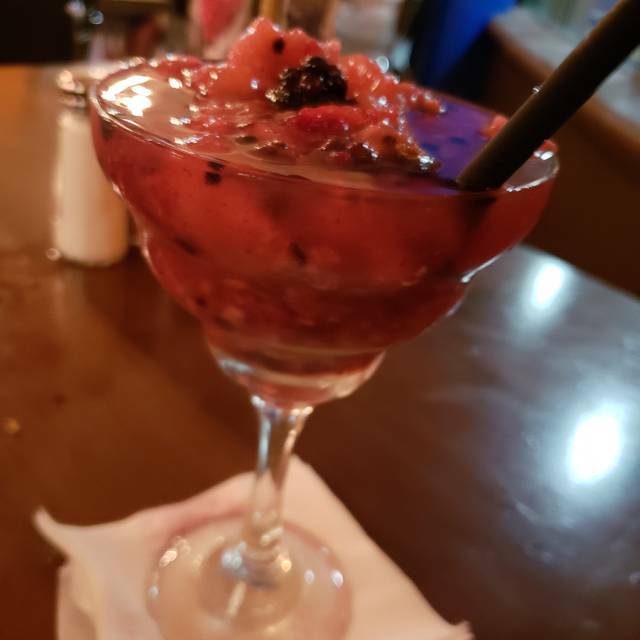 The classic margarita was tasty, too. The noise level was extremely high due to the open layout of the restaurant and tons of parties of over 8 people celebrating special occasions. This was the WORSE experience that I have EVER had at Uncle Julio's. ANYONE who knows me knows that this was my FAVORITE place to eat and/or have drinks! The waiter, me and my entire party, thinks he was HIGH... At first we didn't care because that didn't mean it would affect our service but BOY did it! Either that of he is really just a HORRIBLE waiter. He took our orders and said YES to everything that the other members in my party asked him when asking to substitute. Including my order that they have to custom make for me since you all took it off the menu and that is the ONLY thing that I eat. The food took FOREVER... I promise we ate probably 3 rounds of chips and salsa before he brought out complimentary guac and queso. (which was a nice thing if he hadn't brought it out after our 3 rounds of chips and salsa). BUT... we made no mention of anything as we didn't want to delay our food any further or risk any other horrible things happening to our food as we've heard confessions of people in the food industry. When the food finally came out, almost EVERY order, except the quesadilla, was missing something or just plain incorrect. He had SEVERAL other (employees, I'm not sure of their title) assisting him but got upset when you asked one of them for ANYTHING. We all asked for water with the exception of 2 people who were the only people who received refills without asking. When the checks came out, he had sooooo many additions added to the bills. Almost every substitution had a charge, which was asked in the beginning and told no, and he got irritated when we asked for a manager to dispute those additional charges. Hello PabloP, thank you for your business!